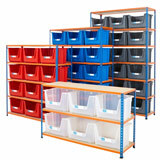 If you're after top quality, cost effective warehouse storage solutions, order picking bins and workshop storage ideas, you're in the right place! 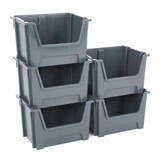 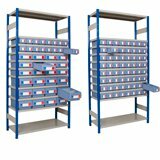 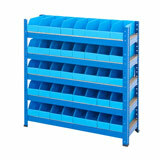 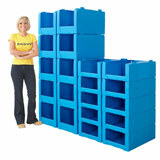 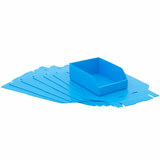 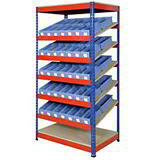 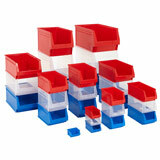 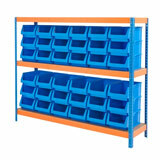 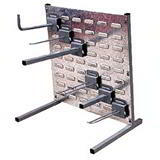 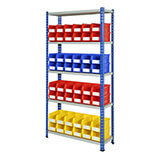 We have one of the widest selections of small parts storage systems you'll find anywhere online in the UK. 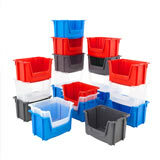 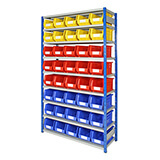 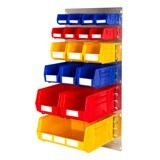 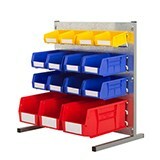 Our coloured parts bins boast the heavy duty strength that's needed in today's warehousing, and come with a lifetime guarantee of reliable use. 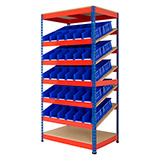 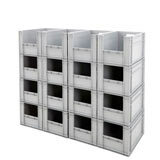 To accompany them, we are able to offer a wide range of storage and shelving, some of which comes complete with plastic storage bins or shelf trays that make the maximum use of the space available. 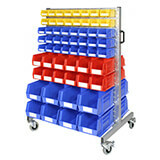 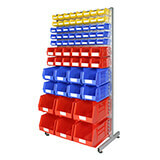 Our parts storage systems also include space-saving units for the wall or workbench, parts bin trolleys to get your parts and components where you need them, Kanban shelving for the most efficient lean production and even ideas to help you create your own custom parts storage solutions. 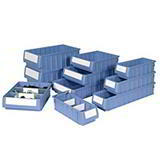 This section also includes heavy duty euro containers and distribution containers, as well as smart ideas for storing and moving them.